Some of Britain’s biggest banks have loaned hundreds of millions of pounds to the company building the controversial Dakota Access Pipeline, according to an Unearthed analysis. The news has prompted one lender – RBS – to distance itself from the project claiming to have “exited the relationship”. There are currently two outstanding loans in which the UK banks are involved, a $3.75 billion credit line issued to the company in 2011 and a $1.5 billion package for subsidiary Energy Transfer Equity signed in 2013. 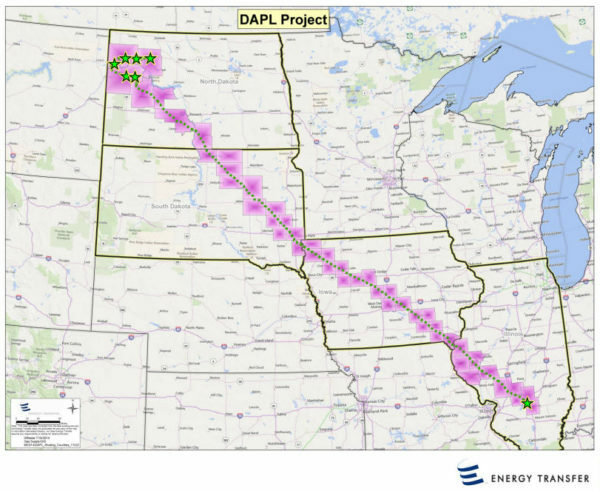 Both agreements were made before the Dakota Access Pipeline was announced in 2014, though they were extended in 2015. Furthermore, Barclays is party to a $2.5 billion revolving credit facility to Sunoco Logistics (owned by Energy Transfer Partners), with documents showing it provided $130 million in 2015. Barclays and HSBC declined to comment. RBS released a statement that said that it did not fund the Dakota Access project, but confirmed that it did provide “general finance” to the pipeline builders — before ending the relationship in 2015. In a Twitter exchange, the bank said they could not discuss the details but insisted they no longer have a relationship with Energy Transfer Partners. 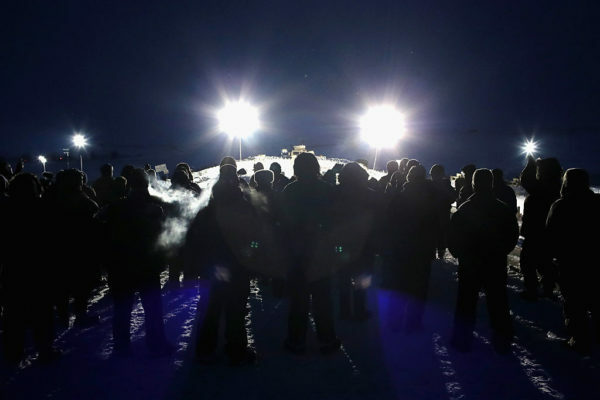 This comes as US authorities have ramped up their crackdown on the coalition of Indigenous groups and environmental activists attempting to block the project, which would cross the Standing Rock Sioux Tribe territory. A recent report from American NGO Food and Water Watch (FWW) claimed that there are loans and credit facilities totaling $10.25 billion in direct support of the companies building the pipeline — with 38 banks implicated. An Energydesk analysis of Bloomberg data of the British banks named in the report, supported by financial disclosure documents, were largely in line with what FWW published. Barclays, which declined to comment, appears to have provided $175 million as part of a revolving credit line for Energy Transfer Partners, $65 million as part of loan package to Energy Transfer Equity and $130 million for a credit line for Sunoco Logistics. All of these loans are set to mature by 2020. RBS, which is majority owned by the UK government, has loaned the Energy Transfer firms $250 million spread across two loans. The bank has denied ever funding the pipeline itself, stressing that the multimillion dollar loans were issued to the controversial project’s parent company — and that the relationship ended in 2015. Does that mean they’re not going to issue loans to Energy Transfer Partners in the future? We’re trying to find out. And finally there’s HSBC, whose loans total $189 million. The Dakota Access Pipeline has erupted into a major cultural flashpoint this year, as climate change activists descended on Standing Rock to join the Sioux Tribe’s movement against the project — which violates Indigenous land rights and could threaten drinking water supply. Resistance against the project – which would carry oil across four states, from the Bakken shale in North Dakota to a refinery hub in Illinois – has been met with an increasingly violent response by authorities, with dozens hospitalised last week after being blasted by water cannons in freezing temperatures. The pipeline is already 75% completed, but there are complaints that the US government has failed to honour its support of ‘tribal sovereignty’. President-elect Donald Trump has thousands of dollars invested in the pipeline builder, although his campaign claims he has sold his stake. After Trump’s triumph in last month’s election, Energy Transfer Partners’ CEO said he is confident he will oversee the project’s completion.